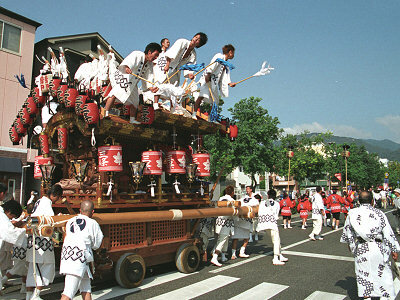 Danjiri Float of the Kobe area attaches the paper lantern. The wheel is attached outside. Many young men took the roof and the tune is taken.